Tony Robbins discusses what it takes to have an outstanding relationship and share some amazing facts! Most of us have settled for something that falls below our deepest desires. We all want love and passion, yet most of us fill ourselves up with work, friends, sports, food, or causes outside the realm of passion, ecstasy, and intimate love. Regardless of the challenges that life will throw at us, we must be determined and Take Action! The good news is that regardless of your past experience or current relationship, the promise of something deeper, richer and lasting is within your grasp. No matter what else you accomplish in your life, if you’re not happy in your most intimate relationship, you’re not going to be happy. Those we love give us our biggest challenges—and greatest opportunities—to grow. Any time two people meet, a third world is formed. Together you create a different universe that’s unlike any you’ve ever known. Appreciating and cherishing that universe is what allows you to transform your life and your relationships. When we truly love someone, dynamic changes occur within us. First of all, we stop focusing on ourselves. It’s what people who strive to connect with God experience when they are in the deepest level of meditation. When you’re in love, time also disappears. You find you need nothing else because you’re getting exactly what you need. The other thing that happens is that you disappear. It is not about you anymore. And that’s when you experience your greatest joy. But pretty soon, you begin creating expectations about how your relationship should be. You try to bend this wild, unexplored spiritual territory to your will and force it to fit your own expectations and requirements, instead of simply growing along with it. You start creating rules and measuring whether the love you’re receiving is enough or not. In other words, it becomes all about you. And that’s when love starts to die. This has nothing to do with how long you’ve been together. It has to do with a pattern. Once you’ve developed a Belief System about your relationship, you find a way to fulfill it. This happens not just in our most intimate relationships, but also with our children, our friends, people at work. You have a model for how they should be. If they don’t match your model, you start questioning everything. Have I lied to myself? Do they say they love me and they don’t? These are the deep, internal questions that most people don’t want to answer or they answer too quickly and easily just to get closure. Most people don’t know how to win in their relationships. They start to win. At first they get so much juice and joy out of the love they receive, but then they begin to believe it doesn’t last. It’s not that it doesn’t last. It’s that they don’t understand the dynamics of what creates that chemistry and keeps it alive. 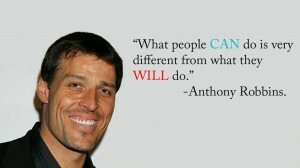 Tony Robbins is the leading peak performance coach in the world. For more than three decades he’s been obsessed with answering the question: What makes people do what they do? Why is it that so many of us say we want to serve, to love, to help somebody, to have a great relationship, but every day we either do something that keeps us from moving forward or that actually moves us in the opposite direction? He’s developed tools and strategies that shift people’s perception of what things mean that can change not only their emotions and psychology, but also what actions they can take to reshape their life. He has taught millions of people around the world the tools to break free from fear, old habits, the “stories” that entrap us. You can’t change until you know what’s influencing and driving you. Over the last 10 years, he’s applied these cutting-edge techniques to transform people’s relationships. The innovative, practical strategies he’s developed make it easier than ever to create deeply rewarding relationships that will sustain you for life. These tools have also transformed his most intimate relationship. Tony and Sage decided to share what they’ve learned with others, so they can experience the passion and joy of being truly connected. 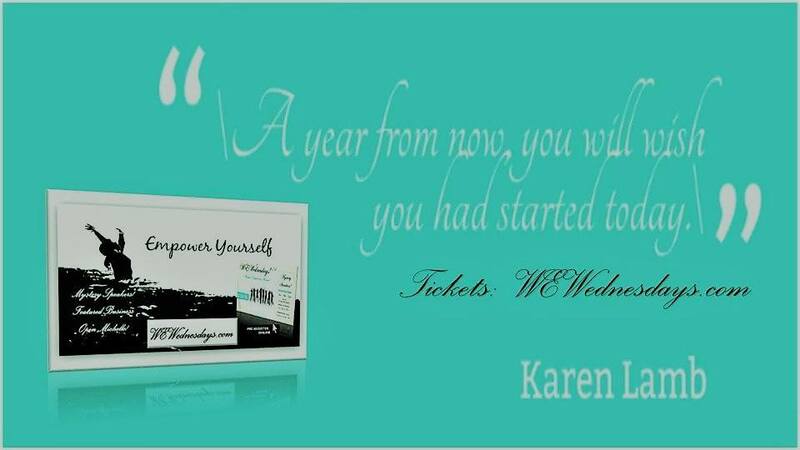 Together they created the Ultimate Relationship Program, a ground-breaking system that will give you the tools and strategies to create sustainable excitement and lasting fulfillment in your relationships. • How to understand any relationship within five minutes. • How you can recapture, rekindle or deepen love in any intimate relationship. and motivates them to take positive action. • How to resolve long-standing, persistent conflicts between family members simply by making a change within yourself. If you want to change your behavior, the first thing you’ve got to do is change your own. When most people have problems in a relationship, their upset is because someone has violated a rule they have. A rule is an unconscious belief about how things are supposed to be. You have two choices in life: To be in love or to be right. You have the choice to have lots of rules and a lot of stress or fewer rules and a lot of joy. If you find yourself getting upset about this kind of stuff, take a look at your rules. Remember: Fewer rules equal a richer life. And a richer and more passionate relationship.